Some time ago, one of my readers asked me to post excerpts from my booklet, Christ in the Feasts. What follows is from the section on Passover. Judaism’s annual cycle of feasts had its roots in Egypt’s oppression of the Israelites. Prior to the exodus, the Hebrew people had been slaves for generations, and their suffering was severe. The Lord saw Israel’s misery and had compassion on them (Ex. 3:7-9). But when God sent Moses to ask for Israel’s release, Pharaoh, king of Egypt, refused (Ex. 5:2). God sent nine plagues to change Pharaoh’s mind, giving him the opportunity to release Israel each time. But Pharaoh was unyielding. Then came Passover. For Israel, Passover was a stunning liberation. But for Egypt, Passover was divine “shock and awe,” a judgment so devastating that Pharaoh surrendered. Because of its significance, God declared that the month in which Passover occurred would be the first month or head of the year (Ex. 12:2; Deut. 16:1). However the Jews reckoned time while in Egypt, their calendar was now reorganized around this holy-day. On the 10th day of the month, each household took in a lamb to care for, then slaughtered it at twilight on the 14th day of the month (Ex. 12:3, 6). 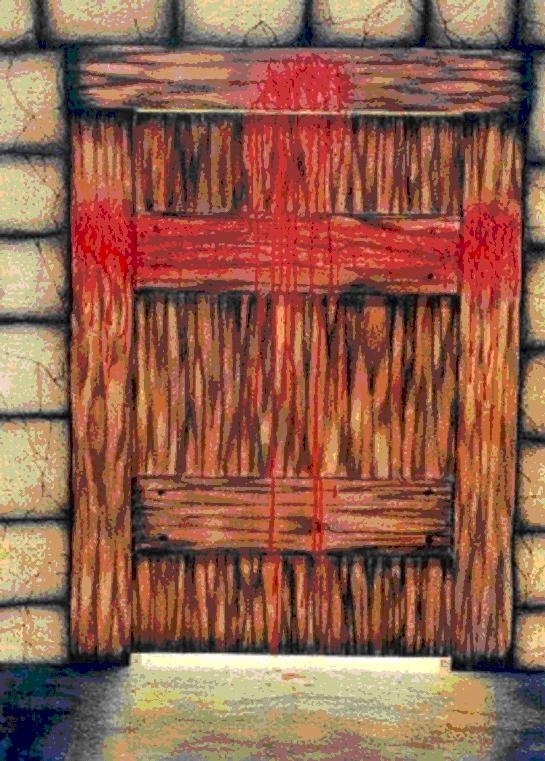 After killing the lamb, they applied its blood to the sides and top of the doorframe of their house (Ex. 12:7). That night, inside houses marked by blood, they ate the lamb along with bitter herbs and unleavened bread (Ex. 12:8). At midnight on the night of Passover, there was another death—the death of anyone who was firstborn in a family. As the Israelites ate, they could hear “loud wailing in Egypt” as the firstborn were struck down in every house not marked by lamb’s blood (Ex. 12:29, 30). The blood acted as a sign. If the Lord saw it on a house, He passed over it and spared those inside (Ex. 12:13). This consummate judgment broke Pharaoh’s will, and he released the Israelites from slavery: “Up! Leave my people, you and the Israelites! Go, worship the LORD as you have requested” (Ex. 12:31). First Corinthians 5:7 tells us that “Christ, our Passover lamb, has been sacrificed.” As this verse suggests, Christ was sacrificed on Passover (Matt. 26:1, 2). For the church, and for every Christian, the reckoning of time, history, and who we are now begins with the cross of Jesus Christ. His death is an absolute division and marker between what we were before the cross and what we are because of the cross. Participating in the Passover of Christ depends on being in Him who is our house, marked with His own blood. During the plagues of Egypt, God’s judgment fell on those who ignored His message while those who responded to His message enjoyed His mercy. Likewise, anyone who believes the message of Christ enters into Him. His blood is the sign that we are not objects of destruction. Jesus is also our spiritual food, our Lamb’s flesh and unleavened bread. As we eat of Christ, His death becomes part of us and not just something done for us. We are not just in the Lamb’s house but the Lamb is in us—nourishing and energizing motives that are according to His Spirit (1 Cor. 15:31; Col. 1:29). The firstborn of humanity was the first man, Adam (1 Cor. 15:45). All who live under him are slaves, as Jesus said: “[E]veryone who sins is a slave to sin” (John 8:34). We are slaves to sin because we are children of the first man and bear his likeness (1 Cor. 15:49). Romans 8:3 says Jesus took on the likeness of sinful man so that when He died, Adam was destroyed as the root and source of sin (Rom. 6:6; 2 Cor. 5:21). Adam, the firstborn, was struck down through the cross. As the Passover Lamb, Christ died for us. As the firstborn, He died as us. His death released us from our slavery: “Because anyone who has died has been freed from sin” (Rom. 6:7). Jesus is beautiful. Thank you for reading!